Christ is My Righteousness. 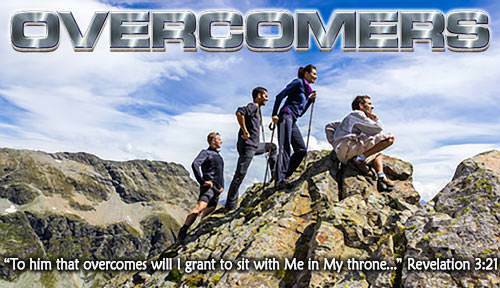 Lesson 6 Questions in "Overcomers"
1. When Isaiah had a vision of God, what caused him to cry out, "Woe is me"? a) It was his sense of sinfulness. He knew that he did not have the righteousness he needed to be in the presence of the glorious and holy God. b) The light blinded him. a) feeling better about myself. b) getting rid of my sins. a) I am better than most people. b) being "clothed" properly to come into God's presence. 4. What kind of righteousness does God accept? a) He accepts only a perfect righteousness. b) He accepts our righteousness if we try hard enough. a) putting me in Christ and giving Christ to me as my righteousness. b) covering up all my sins. a) all the good things I do. a) the way I keep the commandments of God. b) the way God sees me in Christ. a) the way I live, day by day. b) always perfect and without sin. a) according to the way I live. b) according to the way He sees me in Christ.